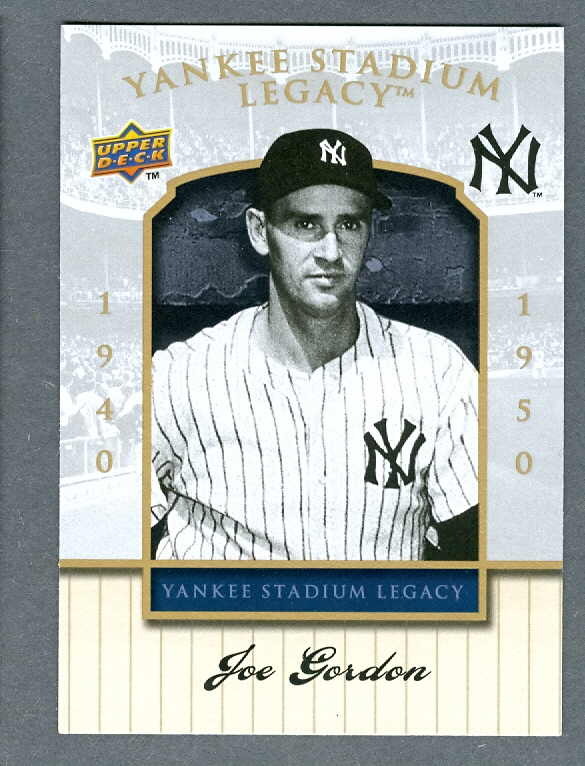 Joe played for the Yankees from 1938 until 1943 and then served in WWII. During those six seasons the Yankees won five World Series, Gordon made five All Star teams and he won the 1942 AL MVP award. He was also a magnificent second baseman. When Scooter joined the Yankees in 1941 he and Flash formed a terrific middle infield until Pearl Harbor blew it apart. When Gordon returned to the Yankees from military service after the war, he hit just .210 and New York’s front office, thinking his best playing days were behind him, traded Joe to Cleveland for pitcher Allie Reynolds. It turned out to be one of those transactions that worked well for both teams. The hits and power returned to Gordon’s bat and he teamed with Indians’ player manager Lou Boudreau to lead Cleveland to a 1948 World Series victory. Gordon blasted 32 home runs and drove in 124 that season. He played for Cleveland until 1950, retiring after 11 big league seasons. He eventually became a manager, skippering Cleveland, the Athletics and the Royals. Joe died in 1978 and was voted into Cooperstown by the Veterans Committee in 2009. I listened to his daughter make the acceptance speech and the loving words she shared about her Dad made it clear that Gordon was much more than just a great ballplayer. Joe was born in LA on February 18, 1915. This former Yankee bullpen star, this long-ago Yankee starting pitcher and this former Yankee catcher also celebrate birthdays on February 18th.